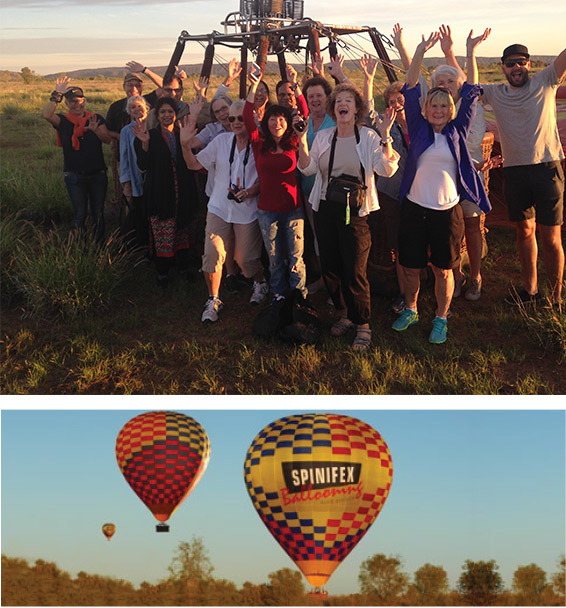 WHAT BETTER WAY TO START YOUR OUTBACK EXPERIENCE THAN WITH AN EARLY MORNING BALLOON FLIGHT WITH SPINIFEX BALLOONING. Watch the kangaroos grazing as the peaks of the ancient MacDonnell Ranges stretch out like a family of caterpillars crawling over the heart of Australia. 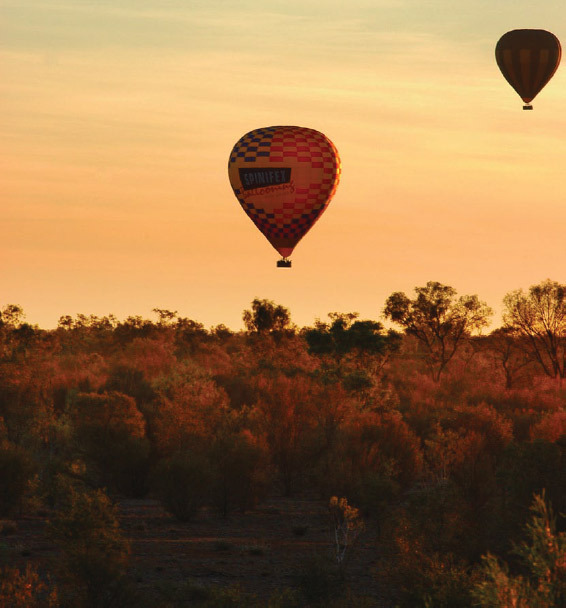 Spinifex Ballooning has been operating in the Alice Springs area since April 1992. Our Chief Pilot has over 20 years ballooning experience and over 2000 hours flying time with an impeccable safety record. We hold all the necessary Insurance and Civil Aviation Certificates to operate. You are collected approximately one hour before first light from your accommodation house in Alice Springs. We then drive to the launch site, which is determined on the morning by the wind direction. We have about 20 different launch sites within 30kms of Alice Springs, and these locations are individually chosen due to their picturesque and unique settings.